Southern Indiana's #1 Choice for Cabinets, Flooring, and Doors! Inspire Design Center sells and installs quality Cabinetry, Countertops, Windows, Doors and Columns. We have a large selection of products in-stock and ready-to-go! Kemper Flooring Inc. has been serving Fort Wayne and the surrounding communities for over 20 years. 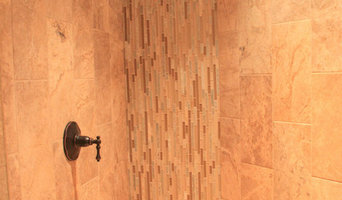 We specialize in all kinds of flooring, backsplashes, custom showers, countertops and more! Jack Laurie got his start in commercial flooring in 1950, when he opened for business in Fort Wayne with just a tiny rented garage and an old Chesterfield cigarette truck. He grew and expanded his business throughout Indiana over the following decades by aggressively competing for business and providing excellent customer service. His son, John Laurie, launched the residential division of the business, Jack Laurie Home Floor Designs, in 2007. John, the company’s current CEO, wanted to continue his father’s tradition of family values and exemplary customer service at competitive prices. 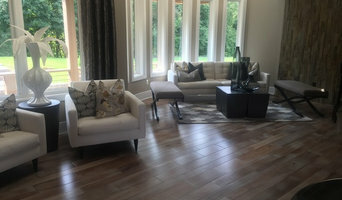 Through this residential-focused portion of the business, Jack Laurie Home Floor Designs offers a wide range of products including wood flooring, luxury vinyl flooring, carpet, and tile for floors and walls in a variety of price points. The key to our exceptional customer service is using only expert installers and a “high touch” installation process which includes field supervision, inspections, and communication throughout the process. This ensures a premium experience for customers. Jack Laurie Home Floor Designs is still locally owned and operated, and we are dedicated to providing every customer a great flooring purchase experience. We have two residential flooring showroom — one in Fort Wayne and one in Carmel — as well as two commercial offices. 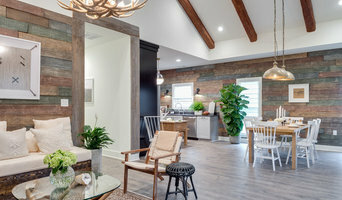 If you are an interior designer or a builder, we have developed beneficial programs just for you. Please contact any of our locations for more details on these programs. For our Fort Wayne location, call (260) 203-0830. We will help you make decisions on the best products for your lifestyle. We have over 40 years experience in floor covering installation. At Georgia Direct our goal is to deliver an outstanding customer experience from selection through installation. With 39 years in business, we are #1 in service and experience. Visit our showroom! *Authorized Armstrong Dealer* Whether you are shopping for commercial or residential flooring, you will find quality products at a reasonable price to fit your needs. ICC Floors has an outstanding reputation for delivering the finest service possible. Knowledgeable professionals will work hard to make your purchasing experience both convenient and fun. At ICC Floors, it’s all about you. 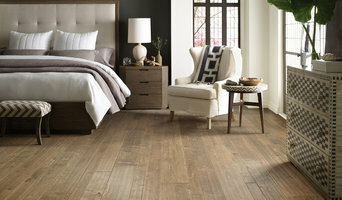 ICC is a locally owned Indianapolis flooring business. ICC Floors specializes in providing quality flooring products (carpet, hardwood, laminate, tile, stone), Schrock cabinetry, Cambria countertops, and Benjamin Moore paint for both commercial and residential customers. Come see us in our store today! Locally owned for over 20 years Carpet Plus Color Tile Bloomington has been the primary floor covering service provider in the greater Monroe County area. Conveniently located in Carmel, IN, Floor Crafters has an experienced and knowledgeable staff who will guide you through each step of selecting the right flooring for your home or business. Vision floors and more is a retail design center specializing in flooring, custom showers, cabinetry, granite and solid surface countertops. WE JUST CELEBRATED OUR NEW LOCATION AND SIXTY YEARS OF SERVING ANDERSON AND CENTRAL INDIANA WE LOOK FORWARD TO CONTINIUING OUR TRADITITION OF BRINGING YOU QUALITY PRODUCTS, PROFESSIONAL INSTALLATION, & KNOWLEDGEABLE, COURTEOUS CUSTOMER SERVICE To better serve your residential and commercial flooring, design, and installation needs we have relocated to 3025 N Scatterfield Rd Anderson, IN 46012 Indiana Carpet One first opened its doors in Anderson Indiana, 1961 under the name Indiana Flooring and Linoleum. Owner Marvin Jackson accidently fell into the flooring business in the late 1950's as an installer. The business was a huge success due to a booming automotive industrial city, quality flooring, and an informative sales staff. In 1989, Indiana Flooring and Linoleum joined CCA and became the 178th Carpet One in the United States. Today there are over 2,000 Carpet Ones nationwide. Indiana Carpet One is part of the biggest Coop in the world. Being part of this coop gives us a better advantage in competitive pricing, quality and recognition from the flooring mills. Mike Jackson started working for his Dad at the age of 19 as an installer and eventually worked his way into sales. Mike bought the company from his Dad in 2000 and still manages and runs the Commercial Division to this day. Tony Jackson started working for his Dad in 1998 as an installer helper. He worked his way up to installer, sales person to sales manager. He has plans of one day owning the business. RG Décor is a unique furniture, décor, rugs and flooring store located in the heart of downtown Zionsville. Our mission is to bring high quality furniture and unique pieces to the greater Indianapolis area, at affordable prices, every day. With free in-home design services, all of our clients have the opportunity to have the home of their dreams. You want it, we have it! With hundreds of products and services to choose from, we're pretty sure you'll find something you'll love! At Five Star Restoration, we specialize in Water & Fire Damage Restoration, Mold Remediation, and Carpet Cleaning. We also do our own Window, Door, and Floor Installation/Replacement, Carpentry, Cleaning Services, Painting, and Emergency Services. We also have a 24/7 Emergency Response Team to take care of any customer's needs at any time. 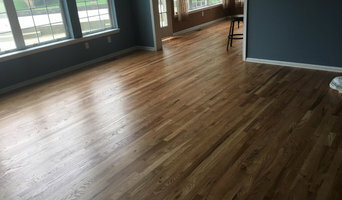 We serve residential customers throughout Marion County and its surrounding county's with quality and professional hardwood flooring services. We have more than 35 years of experience in the installation, sanding and refinishing of hardwood floors. Fully licensed and insured, we also offer repair service for existing floors. We will work with you to custom stain / color your sand & refinishing project. A color chart is in the portfolio. If you are trying to match a existing species of hardwood that is currently in a area of your home into another, we can do that! Lacing in the new hardwood to the existing hardwood, sand & finishing all at the same time. You will never know where the old hardwood stopped and the new was installed. Your hardwood floors will flow from one room to another. If you are looking to update your home with the classic beauty of hardwood floors, please give us a call.